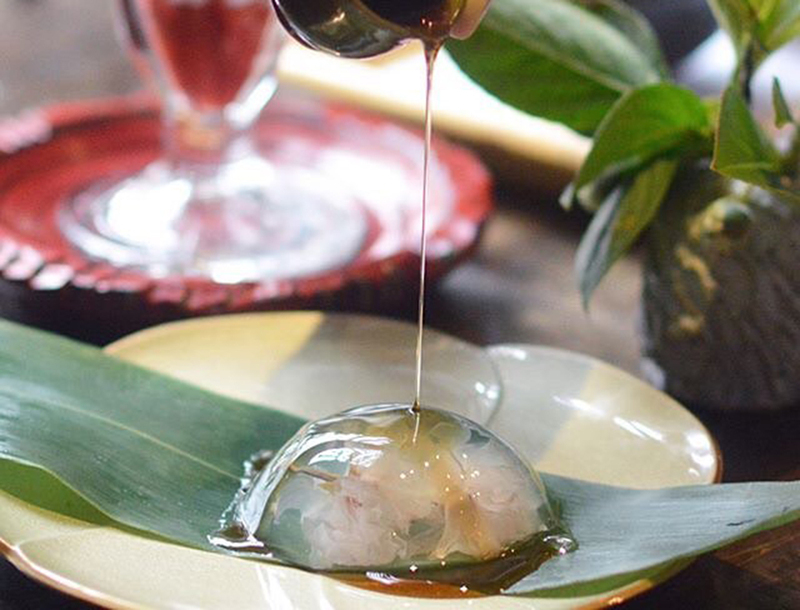 You don’t have to brave the crowds to savor the sakura. The city’s most famous celebration of the cotton candy–resembling tree is the fantastic two-day Sakura Matsuri at Brooklyn Botanic Garden. 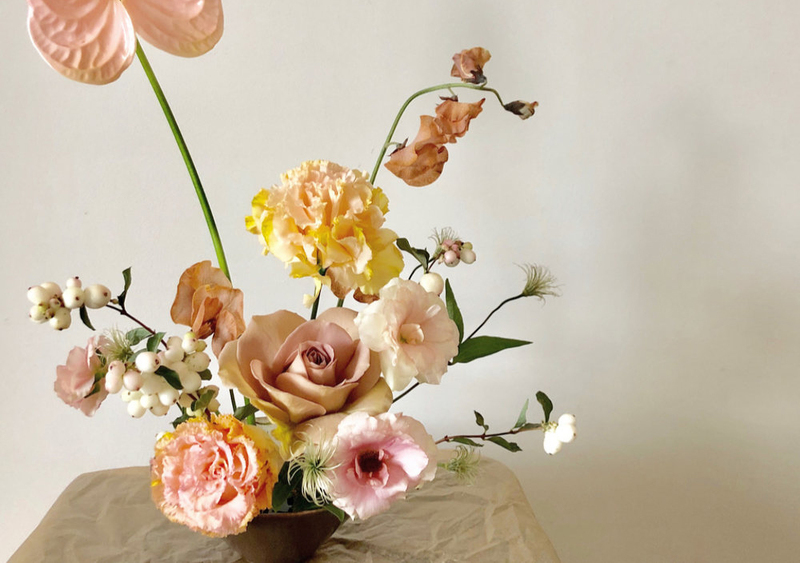 But if you’ve attended this floral frenzy in the past, you know that it can get crowded. 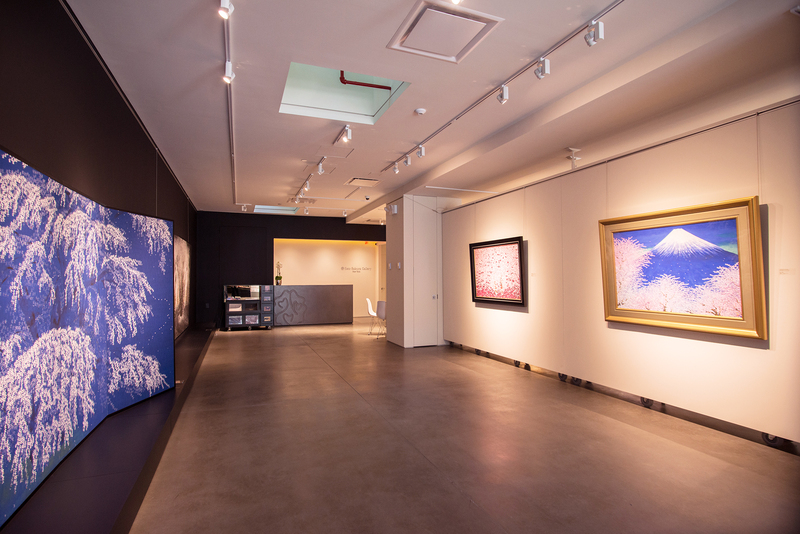 Prefer a calmer hanami (the Japanese tradition of appreciating the fleeting beauty of flowers)? 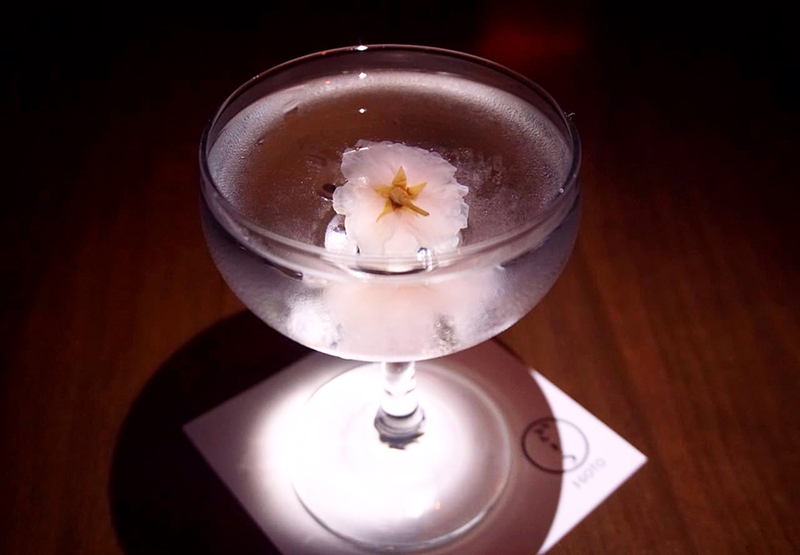 We cherry-picked some alternative ways to take in the blossoms. The name of the small Sakura Park in Morningside Heights means “cherry blossom,” and you’ll be dazzled by the masses of the showy, snowy blossoms here and nearby, gracing the approach to Grant’s Tomb. Continue to Cherry Walk in Riverside Park and the Columbia University campus, where you’ll glimpse more cherry and magnolia in bloom. It’s no surprise pastry chefs are seeking inspiration from the cherry blossom for their seasonal creations. 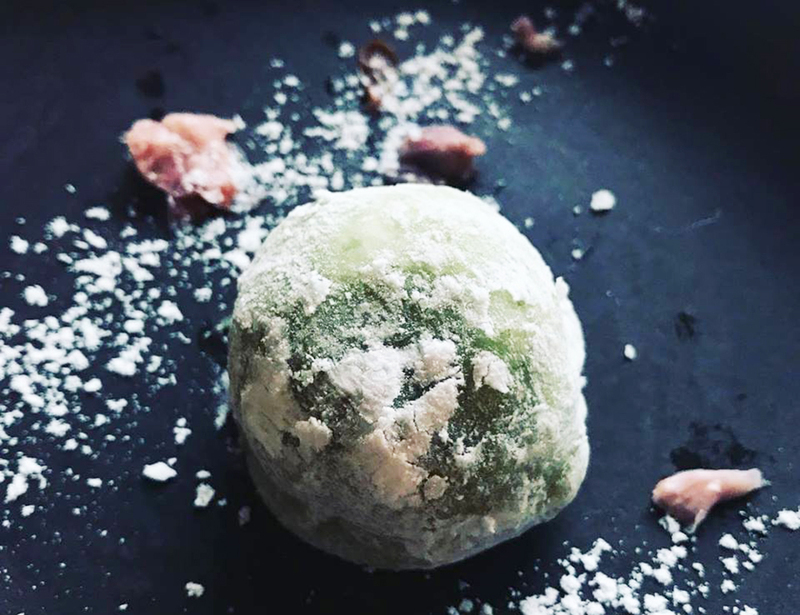 Start at Chelsea’s Harbs with a slice of sakura mousse and Dainagon red bean cake; then walk south for a handheld sakura macaron at Patisserie Fouet on the outskirts of Union Square; and cap off your crawl in Williamsburg with a delicate sakura mochi from Patisserie Tomoko. The iconic Unisphere in Flushing Meadows isn’t the only reason to visit this site of the 1939 and 1964 World’s Fairs. 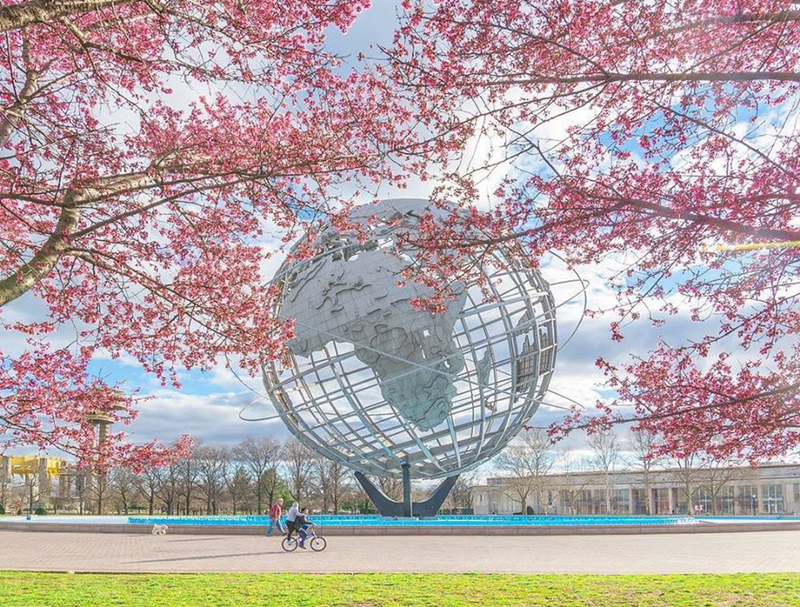 Corona Park is chock-full of green space and attractions, from bike rentals to paddleboating and, in April, a flowering cherry tree grove that allows for ample strolling. Bring a picnic and plan to spend the day. As you might expect, the city’s biggest park shows some floral swag worthy of its status. The first trees to blossom, in mid-to-late April, are the Yoshino; catch them at the east side of the Reservoir, the Lilac Walk (northeast of Sheep Meadow), and the southeast edge of the Great Lawn. The Kwanzan cherries bloom in early May; look for their distinctive double-petal pink flowers on the west side of the Reservoir in the East Green, behind the Metropolitan Museum of Art and across the East Drive from the Loeb Boathouse. Need some more springtime suggestions? Get in touch with one of our planners.